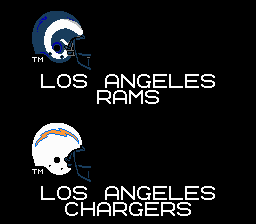 Does anyone know how to properly change St. Louis to Los Angeles in the code? I can use L.A. since it uses less space than St. Louis, but Los Angeles takes up more space, so naturally it causes problems. I don't know how to change start and end points for names, but if you have to be creative, maybe try "L.A. Rams." Yeah, that's the way I have it right now. It works fine, but just looks a little weird with the extra space. it's just simple pointers. with trial and error (and code logger) I figured it out. don't you hack plays and stuff? this is like a lot easier than that, it's just tedious. you're gonna have to shift everything (all the sets of pointers) by the same amount that you add the extra letters, for anything that comes after LOS ANGELES. how about you give it a shot and see what you can do? if you can't figure it out I will post the code. Yeah, I've tried and feel stupid, but it just ain't working for me. I read a pambazos thread about it but it seems like it might only apply to the 28-team rom. Maybe because it's the NFC West, the pointers locations are off? It's confusing because, for instance, I move the pointers and SEATTLE checks out fine, but ARIZONA gets messed up, even though I moved its pointer by the same distance as Seattle's. I don't know. Don't worry about posting the code. I'll either figure it out, or I'll just use "L.A."
I only asked because I figured someone had already done it and had it readily available. Here is a faster way to do it. 1. Save team_text.asm attached to folder. 5. 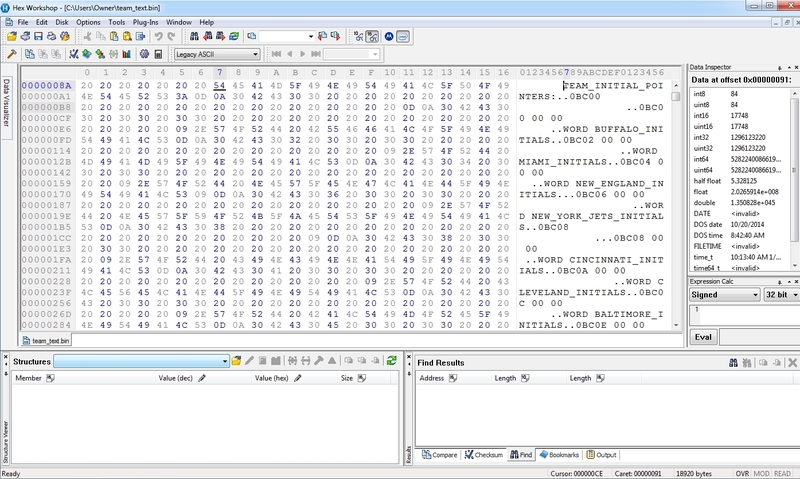 Open resulting bin file with hex editor. 6. Copy and paste entire contents of .bin file to location at 0x1FC10. Because who wants to be manually adjusting every pointer. Very tedious as buck said. The attached team_tex.bin has the changes you need. 2) Open resulting bin in Hex Editor. maybe I am editing the text incorrectly? i'm getting an error still. 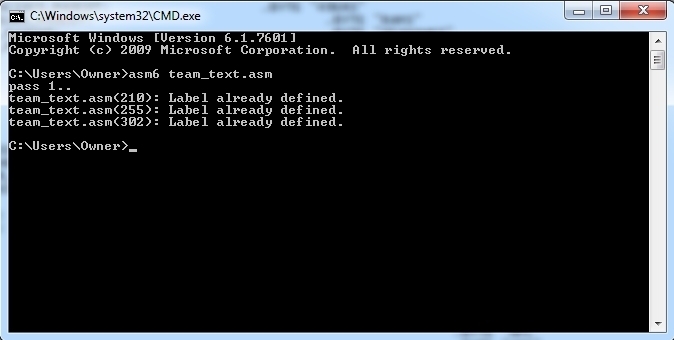 But I did manage to create a .bin this time with just the command you gave. Does the .asm need to be made from my own base rom? The asm file is just a text file. Looks like you have some errora with labels. I appreciate your help, bruddog! This has been racking my brain lol. I didn't realize that you only edit the names in quotations in the asm file. I was editing every instance of SAN_DIEGO to LOS_ANGELES. Thanks again, bruddog! dang, somehow this slipped through the cracks! thanks bruddog. I will be trying to use this soon. One thing to be careful of is i think if too many team names are too long you would run over into another section. or something like that... not near computer. You want to make sure each thing still starts at the same location or youd have tp adjust all the reference locations in code. I noticed this yes. Jumbled graphics when I did some changes, but was able to get the changes I needed in. Hey, SBlueman, can you make another patch for the Las Vegas Raiders? I would appreciate it. By the way, the Los Angeles Chargers are listed as Sos Angeles Chargers in the team data screen. just fyi.